If not for two spontaneous, subtle, impeccably-timed acts, the iconic phrase "I Have a Dream" delivered by Martin Luther King, Jr. on the steps of the Lincoln Memorial may have never been spoken. Walk back through history and relive Martin Luther King Jr.'s struggles and accomplishments. This article originally appeared on WTOP.com on August 23, 2013. WASHINGTON – If not for two spontaneous, subtle, impeccably-timed acts, the iconic phrase “I Have a Dream” delivered by Martin Luther King Jr. on the steps of the Lincoln Memorial may have never been spoken. Among King’s inner circle were two people he spoke with virtually every day: his attorney Clarence B. Jones and New York businessman Stanley Levinson. In early July, when it was clear the march would happen, Jones and Levinson met with King regularly and were tasked with drafting a framework for the speech. 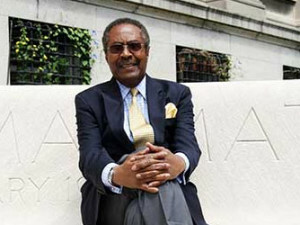 Clarence B. Jones, attorney for Martin Luther King, Jr. The night before the march, in a cordoned-off area of the Willard Hotel lobby, a final meeting was planned to go over the final details of King’s speech. According to Jones, along with he and King, the other attendees at the meeting were Cleveland Robinson, Walter Fauntroy, Bernard Lee, Ralph Abernathy, Lawrence Reddick and Bayard Rustin. After a vigorous debate in which Jones took notes, he went to his hotel room and turned his notes into words King could recite. A short time later, he delivered his draft to King. As was customary in their relationship of speechwriter and speech-giver, King took the draft to tweak it and make his own. Jones didn’t see the final draft. As King made his way through the first several paragraphs of the speech, Jones realized King had not changed a word he had written. 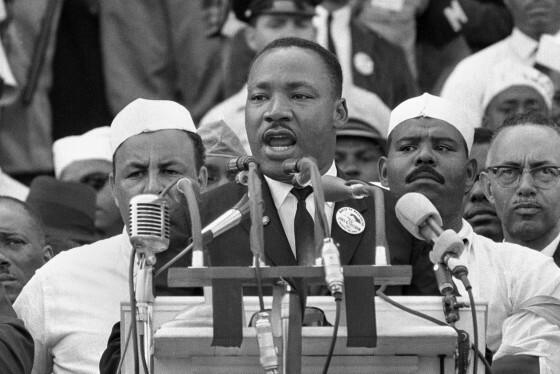 A look at Dr. Martin Luther King Jr.’s life and his impact as the leader of the African-American Civil Rights Movement. 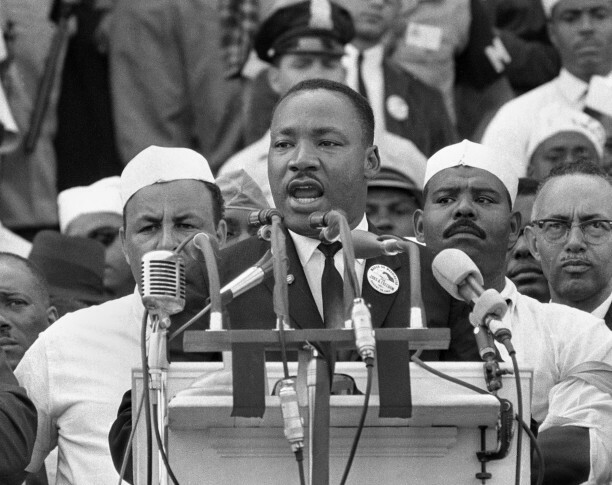 The question of when King would speak during the march was also a thorny one. “That process was really as a result of taming egos,” says Jones. After a series of meetings the week leading up to the march, it was decided King would appear in the middle of the program. Jones wasn’t having it. In the middle of one planning meeting without King, he made his case for King to not only speak last, but to also speak the longest. “I said you run the risk … that after he speaks a lot of the people at the march will get up and leave,” Jones says he told the group. And, if needed, King would be given the most time for his speech. By interrupting a single meeting, Jones had set the stage for history. Jackson was also King’s favorite singer. King paused for 10 seconds as the crowd cheered him on. During that pause, the trajectory of the speech, and its place in history, transformed. Jones says he was about 15 yards behind King, when he heard someone from the stage yell out to King. 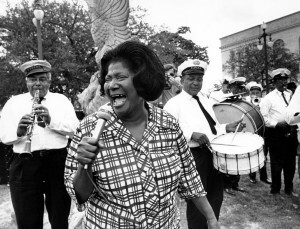 “Mahalia Jackson…she shouted to him, ‘Tell them about the dream, Martin. Tell them about the dream’,” Jones says. “His reaction to it was to look in the direction of Mahalia, but then to take the prepared text that he was reading and slide it to the left side of the lectern,” Jones says. King had gone from lecturer to preacher. “I turned to somebody standing next to me and I said, ‘These people don’t know it, but they’re about to go to church’,” Jones says. “From there on, that part of the speech that has become so celebrated as the ‘I Have a Dream’ speech was completely extemporaneous and was completely spontaneous,” Jones says. Free at last, free at last, Great God Almighty, We are free at last. And even that line has a story. “He had incorporated near the end some notes that he had made quoting in the words of an old Baptist preacher, ‘Free at last, free at last, free at last’,” Jones says. Jones believes that while Dr. King’s speech immediately ascended into the rarified air of history-defining performances, the moment, aside from the words, in which it was given played a major role. In order to protect King from being taken advantage of, Jones had the speech copyrighted. Though he faced a legal battle to have it upheld, the copyright is currently in effect until 2038. According to Jones, once it was pointed out to him that such a title wasn’t memorable, he changed it. With the white correction ribbon on his typewriter, Jones erased the black-typed ink, and above the line which read “Give the title of the work as it appears on the copies,” Jones gave the speech its proper name.